The singer, a headliner at the Route 91 Harvest Festival, says he supports the Second Amendment, but wants reforms. 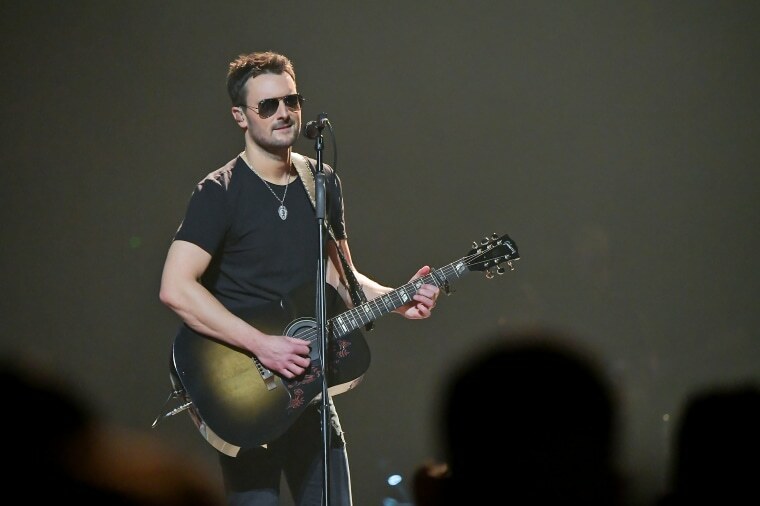 Eric Church, a headliner at the Route 91 Harvest Festival in Las Vegas where dozens were killed last October, is slamming the National Rifle Association for not taking enough action to prevent mass shootings. "There are some things we can’t stop," Church told Rolling Stone, "like the disgruntled kid who takes his dad’s shotgun and walks into a high school. But we could have stopped the guy in Vegas." Church performed at the festival two nights before a gunman unleashed a rapid-fire barrage of bullets from the 32nd floor of a hotel down on the crowd of about 22,000, sending terrified concertgoers running for their lives. At least 58 people were killed and hundreds others injured, marking the worst mass shooting in modern American history. Authorities said the accused gunman, Stephen Craig Paddock, was solely responsible. They found thousands of rounds of ammunition and nearly two dozen weapons in his hotel room, mostly military-style rifles, including at least one that was modified with a bump stock to enable it to fire off rounds more rapidly. Church — who was nominated for the Country Music Association's Entertainer of the Year in 2017 — told the music magazine that while he owns about a half-dozen guns, he supports reforms such as closing gun-show loopholes, improving background checks, and banning bump stocks. "I’m a Second Amendment guy,” Church said. “That’s in the Constitution, it’s people’s right, and I don’t believe it’s negotiable. But nobody should have that many guns and that much ammunition and we don’t know about it. Nobody should have 21 AKs and 10,000 rounds of ammunition and we don’t know who they are." Church's comments were part of a wide-ranging interview that also touched on a health scare involving a blood clot in his chest, his disdain for Garth Brooks' lip-syncing and the 2016 election. Church did not cast a vote in 2016, but in past years has voted both Republican and Democrat. Church had already left Las Vegas when the massacre happened during fellow country music star Jason Aldean's performance. He found out via text that there was an active shooter. "Something broke in me that night, and it still hasn't healed," he said. While there is often an overlap between country music fans and gun ownership, Church said he has never been a member of the NRA. He said he expected to get blowback for attacking the gun rights organization. Fans were quick to react. One tweeted, "Eric Church just committed career suicide," and tagged the NRA. Others vowed to boycott his music. Church is not the only country music star to speak out about guns. Musician Caleb Keeter, who was at the festival when the shooting happened, tweeted a day later that he had been a lifelong Second Amendment supporter — until that night. "We need gun control RIGHT. NOW," he wrote. Several others performed a tribute to the Las Vegas victims at this year's Grammys. One, singer Maren Morris, criticized fellow country musicians for not speaking up. "There’s a lot of staying out of the conversation and sweeping it under the carpet so as not to polarize their audience,” she told the Guardian in January. Aldean has sent condolences to victims but hasn't waded into the gun control debate.